Mps 6 at our shop with slight tune to ecu. 192 kw at all 4 wheels. 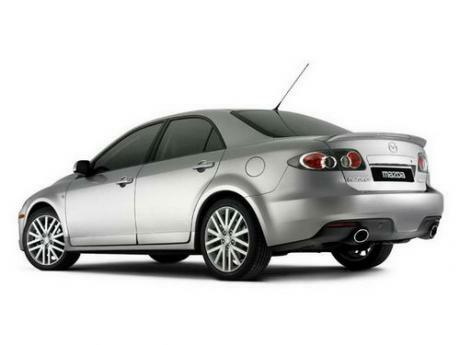 I own a Mazda 6 mps 2005 model, an I love it really the best car I have ever owned!! I just wish It could have been a front mount instead of a top mount inter cooler!! own a 2008 mazda 6 mps. awesome car. un-assuming and not a cop magnet. enough grunt to take on a challenge. auto express achieved 0-60 in 5.7 seconds. This is a fair bit heavier than the mazda3, I thought it would a little slower than this. i test drove a 3mps 2007 plate, it felt very quick however i felt that it coudnt handle the power through the front wheels over rougher road surfaces. I then test drove a 2006 mazda6 mps and it felt a lot more sure footed, stable and smooth over rougher road surfaces than the 3mps, so for that reason i bought the 6mps and have not regretted it since.....its speed is very deceptive!! The track times are outstanding. I am so glad I own this car. It really rocks. An everyday hero. Mazdaspeed 6 and Mazda 6 MPS same cars(all details same) 260hp 380nm. 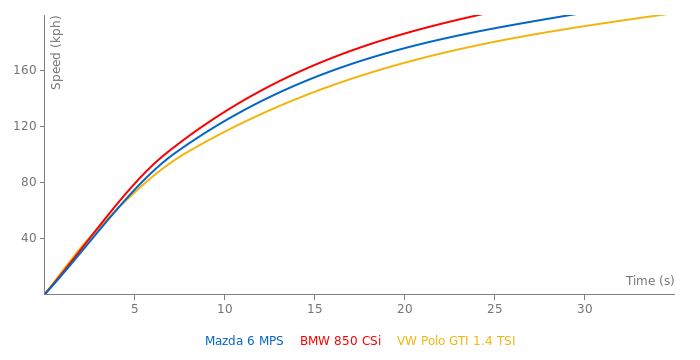 the Mazda 6 MPS is a slightly detuned version of the Mazdaspeed6 that was available in the US, so the power data is accurate. According to my sources the Mazda 6 MPS has 260hp. You can offcourse show the sources where it achieved 0-62 in 5.4 seconds. The data is inaccurate. The 2006 Mazdaspeed 6 is 274 HP and most roadtests show it to be 0-60 in 5.2-5.4 seconds.